Heat VANEE CHILI WITHOUT BEANS to serving temperature. 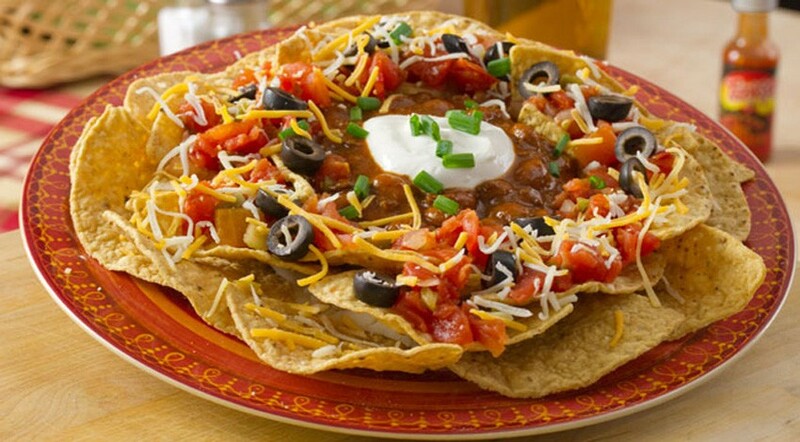 Place 2 cups of tortilla chips on serving plate. 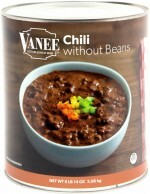 Pour on 6 ounces of VANEE CHILI WITHOUT BEANS, 2 ounces of cheese, salsa, black olives each. Garnish with sour cream and chives.